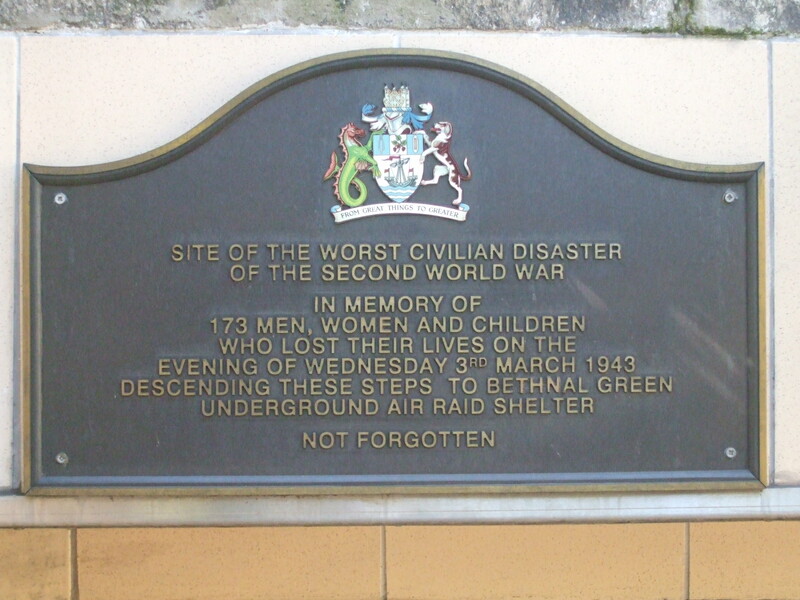 The Bethnal Green disaster was the worst civilian disaster in World War II. 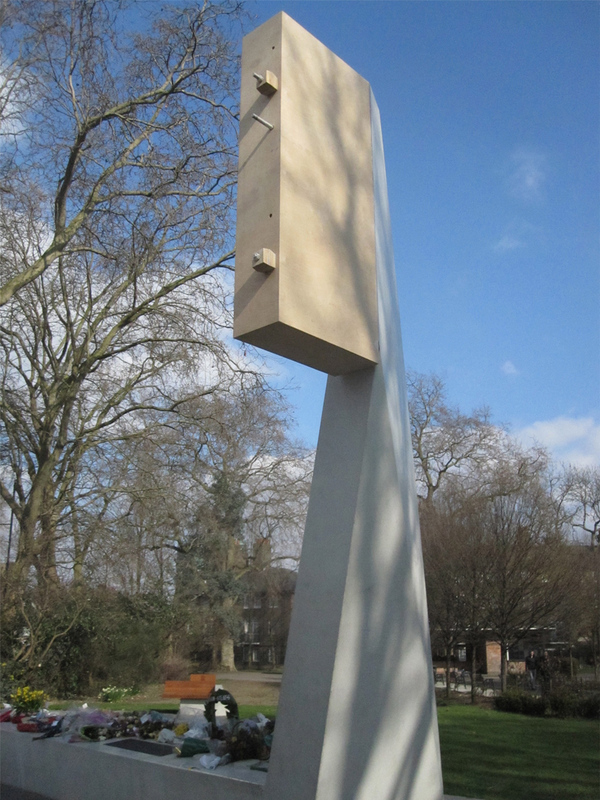 At 8:17pm on the 3rd of March 1943, a test alarm of air-raid sirens went off and anti-aircraft rockets were fired. Civilians surged into Bethnal Green tube station to shelter from the potential bombs. At the time, the station was not finished being built and was not open to train traffic. As such, it was not particularly well lit, and there were no stair railings. As everyone filed into the station, a woman with a child tripped and fell at the bottom of the rough wooden staircase. Since the crowds surging in did not see her fall, they carried on pouring and pushing into the station. Hundreds of people fell down the stairway within 15 seconds, which led to hundreds of people being crushed and asphyxiated. It is not known how many people were injured, but it is thought that over the number is over 90 people- around 60 of them seriously injured. Some people remained trapped in the mass of bodies for hours. 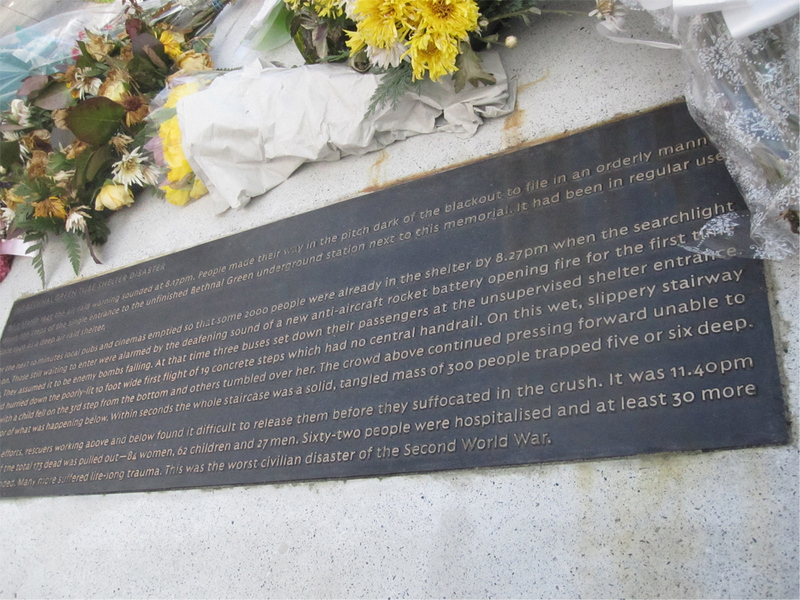 The final death toll stood at 173 people. This included 62 children- most of whom were under 7 years old. A five month old baby was also killed. At the time, it was decided not to report on the disaster so as not to sink wartime morale, although many newspapers did run the story. 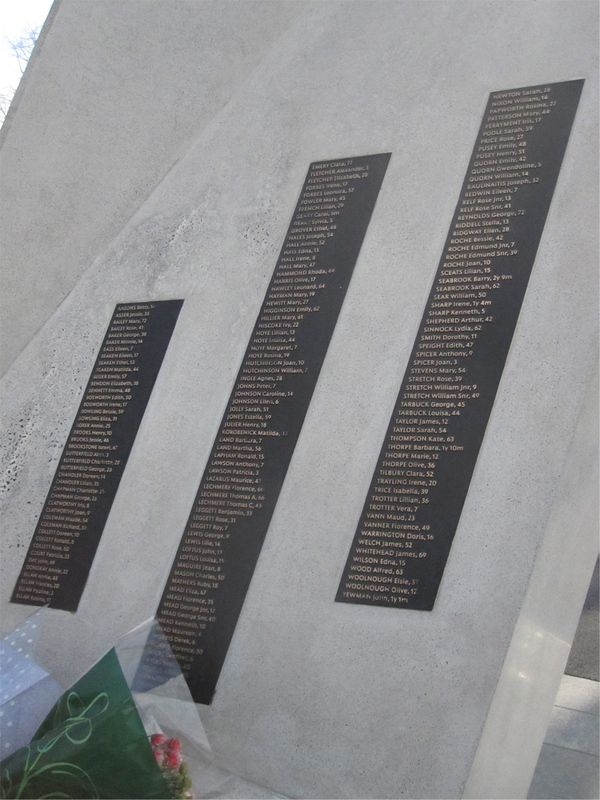 In the 1990s, a plaque was placed on the staircase to acknowledge and honour the victims, but it wasn’t until this year that a proper memorial was dedicated to honour the victims. 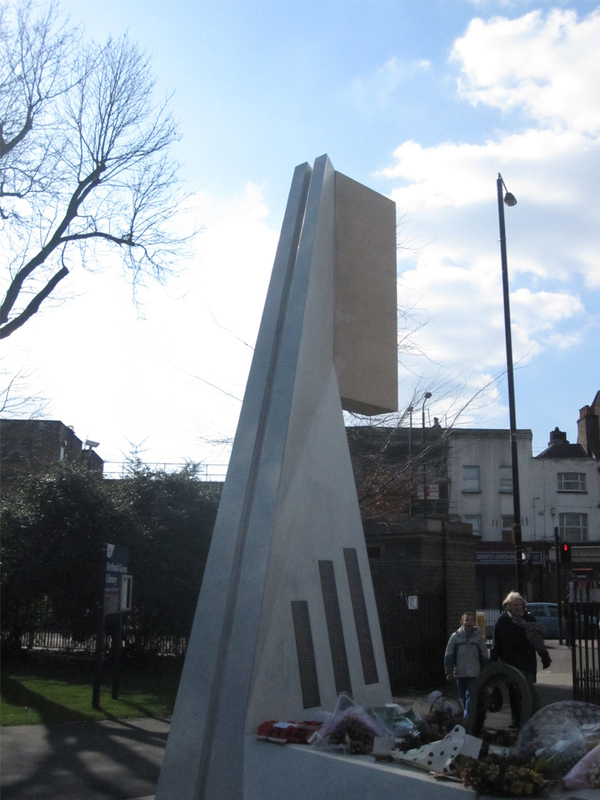 The memorial is not yet complete – more money is needed to finish the structure – but on 3rd March 2013, 70 years to the day of the disaster, relatives and friends finally had a public place to acknowledge their grief. The monument is very impressive. 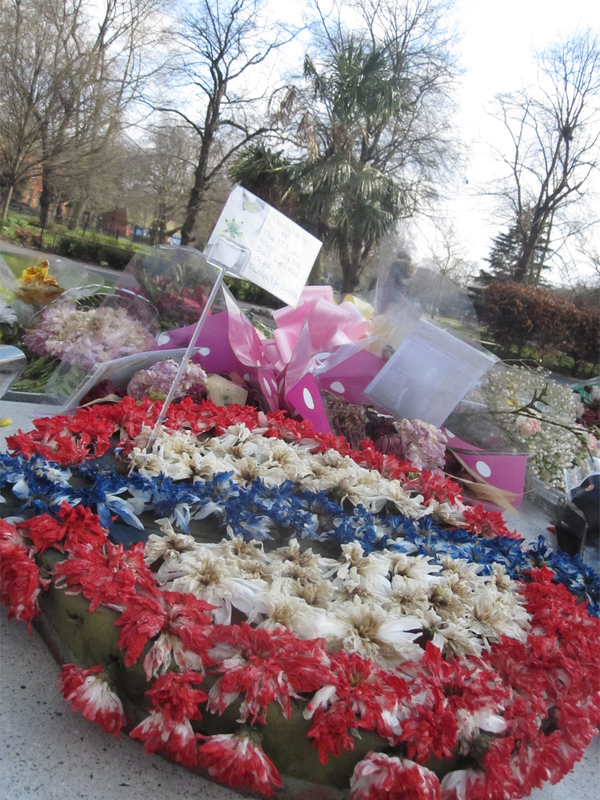 It was quite moving to see all of the floral tributes, and to realize how many people who are still living lost family on that night. 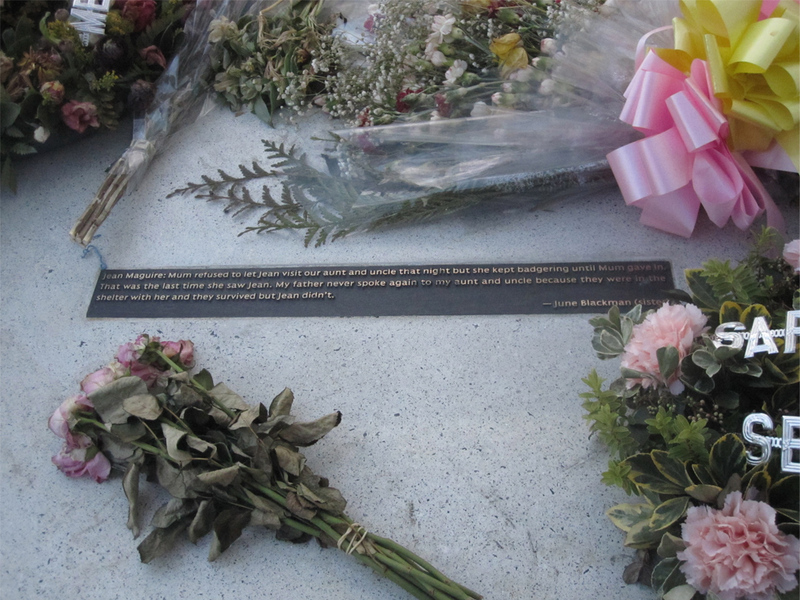 There are quotes from survivors, and from friends and family, on the monument. 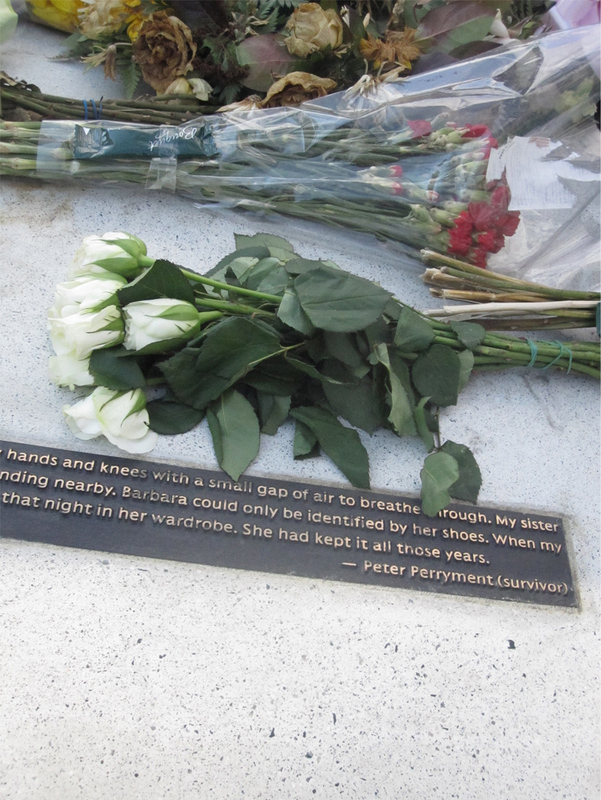 The stories are heartbreaking- they tell of not just loss, but also anger and grief that lasted a lifetime. This entry was posted in History, Tubes and Trains and tagged London Underground, WWII. Bookmark the permalink.